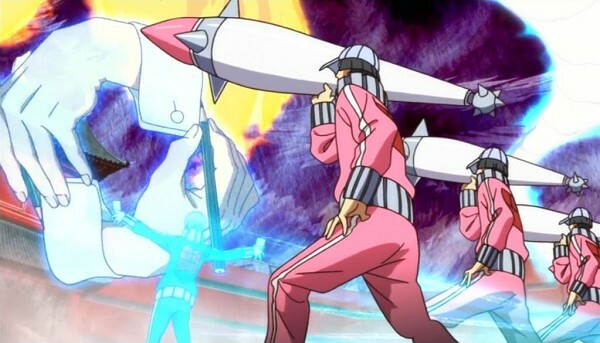 Kill la Kill is a Japanese anime television series, which was released in 2013. 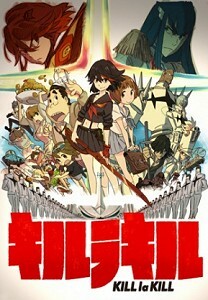 It follows vagrant schoolgirl Ryuko Matoi on her search for her father's killer, which brings her into violent conflict with the iron-fisted student council president of Honnouji Academy, Satsuki Kiryuin, and her mother's fashion empire. In episode 14 we see Escher's Drawing Hands.